This beloved British restaurant and pub offers more than beer and fish and chips. It's a classic British-style watering hole with trivia nights, live music and karaoke. 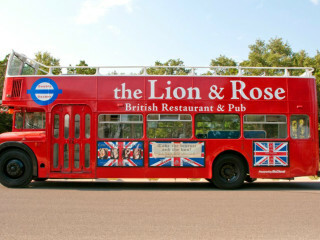 Lion & Rose menu includes sandwiches, burgers, steaks, seafood, hot wings, shepherds pie, and bangers and mash.